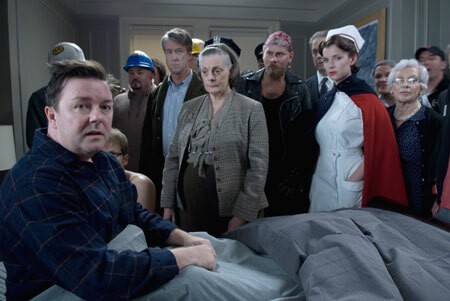 I spy with my little eye something… realizes Dr. Bertram Pincus (British comedy star Ricky Gervais) horrified. He sees dead people. But what is he to do, when the ghosts of the deceased annoy him more than those living? 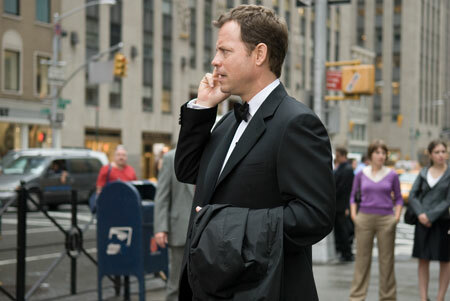 Frank Herlihy (Greg Kinnear) is a modern business man in New York, who doesn't take being faithful to his wife too serious. But when his mistress calls his wife, that's a bit too much even for him. While he is scolding her on the phone for this indiscretion, he loses his life in an accident and henceforth roams the earth as a ghost. Bertram Pincus (Ricky Gervais) is not only a dentist, but most notably a very cranky and bitter misanthrope. He is glad when he can stuff his patients' mouths with cotton rolls to make them stop talking, or when he is able to make the elevator door close in his heavily loaded neighbour's face. Pincus even tries to avoid his office colleague Dr. Jahangir Prashat (Aasif Mandvi) as much as possible. He rather sneaks out of their joint practice and downs a pint of purge at home, instead of celebrating the birth of Dr. Prashat's son. What first looks like an attempt of suicide turns out to be the preparation for an insignificant operation. The surgeon seems to be more interested in her complexion, though, than in her patient, and therefore it comes as no surprise that the routine procedure doesn't go as planed. When Pincus leaves the hospital, he does not only see the living nurses smoking in front of the building, but also one from World War II. This ghost follows him and others join her, for a living who can see the dead is rare. Frank, who learns about Pincus's faculty, too, obtrudes himself upon Pincus. He gets the other ghosts off Pincus's back or sets them on him, depending on how it suits his plans to manipulate Pincus for his own purpose. Frank — being totally egotistical — wants Pincus to allure his widow Gwen (Téa Leoni) from marrying the human rights lawyer Richard (Billy Campbell), who seems too good to be true. Frank pesters Pincus until he has no other choice but to comply. Ricky Gervais has become very popular in Great Britain due to his extreme dry humour in his two TV serials "The Office" (adopted in Germany as "Stromberg") and "Extras". In "Ghost Town" he plays his first leading role in a Hollywood movie and shines as a bitter loner, who against his will has to deal with his own problems and those of others. But not only Gervais, but all the others actors, too, impress with the very dry humour which is exactly to the point and which brings the fresh and sarcastic charm of British cinema to this romantic Hollywood comedy. Greg Kinnear has demonstrated his comic talent in the Oscar-winning crowd-pleaser "Litte Miss Sunshine"; Téa Leoni is rather known from supporting roles, e.g. in "Spanglish"; and they all give their characters an intriguing depth and credibility, which makes their development through the story comprehensible for the audience. Technically, this comedy is produced rather traditionally and makes use of only very few special effects, so that the attention is turned to the story. This gives particular place to the quirky situations and delicious dialogues. The music is a special highlight, because the Pop pearls of the soundtrack (e.g. The Beatles, Wilco and John Mayer) are being used ironically funny or doleful, but always perfect for the film moment. The few small weaknesses of the film, e.g. 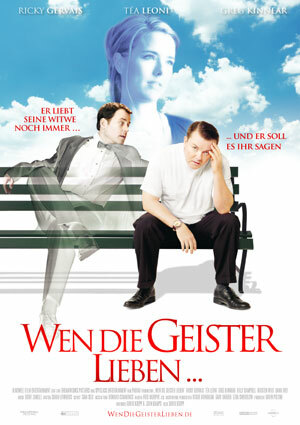 some predictabilities, the spectator will surely forgive, for the story manoeuvres between mordant jokes, romantic encounters and even touching moments, which by far aren't as cheesy as in the romantic ghost comedy "Just Like Heaven" and which are far from being shallow. This is due to director and screenwriter David Koepp, who also wrote "Death Becomes Her", "Panic Room", "Spider-Man" or "Jurrasic Park". This film is recommended for those who liked "Harold and Maude".